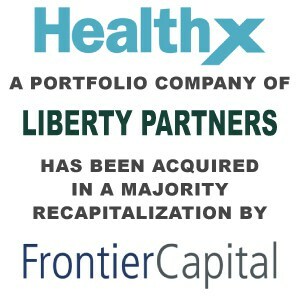 Berkery Noyes Represents Healthx In Its Majority Recapitalization By Frontier Capital - Berkery, Noyes & Co., LLC. Berkery Noyes, a leading independent investment bank providing mergers & acquisitions and capital raising advisory services to middle-market companies in the healthcare, information, and technology markets, announced that it represented Healthx, Inc. in its majority recapitalization by North Carolina-based growth equity firm Frontier Capital. Healthx, based in Indianapolis, IN, is the leading provider of healthcare information technologies to health insurers, their members, and physicians. The Company’s cloud-based software-as-a-service (SaaS) technology platform delivers online healthcare portals to 12.8 million health plan members and 425,000 physicians, providing them with a central data repository for key, real-time information such as medical claims, benefit plan design and health plan eligibility data. Healthx’s offerings result in enhanced communications and engagement between health plans and their members, physicians and their patients, and employers and their employees. “As healthcare information continues to get digitized and becomes more liquid, Healthx’s data integration and analytics technologies are in high demand. 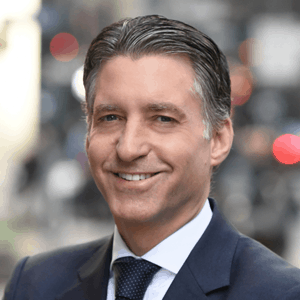 The Company has a lot of momentum and is well-positioned to capitalize on secular demographic trends and widespread initiatives to improve clinical outcomes, control costs and increase the insured population,” said Jon Krieger, Managing Director at Berkery Noyes. Founded in 1998 and based in Indianapolis, IN, Healthx is the leading provider of online healthcare portals to health insurers, medical providers and employers. The Company’s open-architected, cloud-based, software-as-a-service technology platform mines information that is housed in separate silos such as healthcare claims data, benefit plan design, and health plan member eligibility and delivers it to key healthcare constituents at the appropriate time. Healthx’s offerings result in enhanced communications and engagement between health plans and their members, physicians and their patients, and employers and their employees. Berkery Noyes is a leading independent investment bank providing mergers & acquisitions and capital raising advisory services to middle-market companies in the healthcare, information, and technology markets. Berkery Noyes has advised many notable healthcare information technology companies including Relsys in its sale to Oracle, Strata Decision Technology in its sale to Veronis Suhler Stevenson, HCPro in its sale to The Riverside Company, and UpToDate in its sale to Wolters Kluwer.